As persecuted Eastern European Jews flocked to Detroit in the late 1800s, aid societies formed to help newly arrived immigrants. At Temple Beth El, choir girls began sewing items for the children of immigrants. When it was suggested that the immigrant children would benefit more if they were taught to sew, the Self-Help Circle was born. In 1899, the group became one of the first agencies of the United Jewish Charities. The women who taught sewing created instruction books with samplers to use during classes. 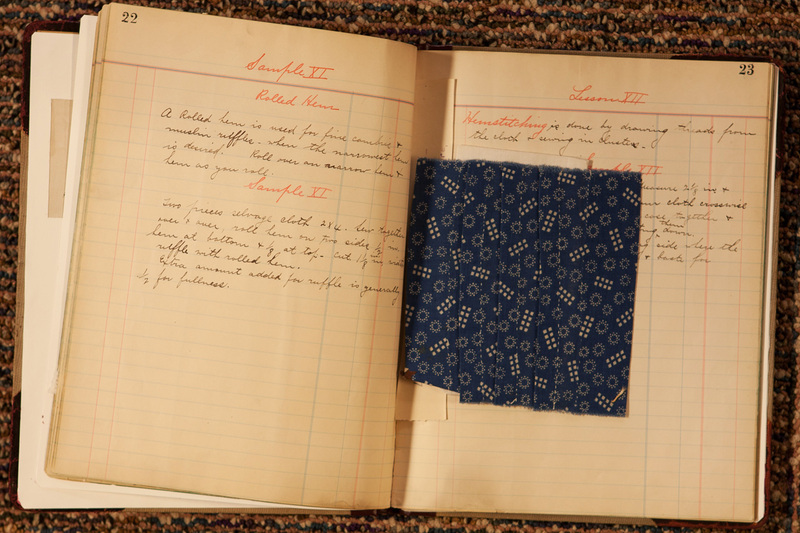 In 1991, the sewing book of Hattie Franklin, wife of Rabbi Leo M. Franklin, was found in the basement of the Fred M. Butzel Memorial Building, then home to the Jewish Federation of Metropolitan Detroit. This book is just one of the 25 “treasures” featured in the upcoming exhibit, 25 Years, 25 Treasures. Since 1991, the Leonard N. Simons Jewish Community Archives has collected over 2 million documents, 25,000 photographs and recorded over 100 oral histories which chronicle the rich and varied history of Detroit’s Jewish community. And, in honor of this milestone anniversary, it is showcasing some of its most significant and rarely-seen objects, documents and photographs. Each item featured is unique. Like the letter that was a catalyst to the building of the Federation Apartments, which proved one voice is as powerful as many. Or the pictorial glimpse into the Jewish Children’s Home during the Great Depression. And the first handwritten minutes book of the United Jewish Charities. These primary source documents are not only a record of the past, but also tell the stories of the people and organizations that have shaped Jewish life in Detroit. The installation compliments the Archives’ year-long traveling exhibit making its way through metro Detroit. Creating a Jewish Community consists of five double-sided panels, each addressing a different topic: immigration, neighborhoods, Israel, service organizations and a timeline of Federation history. Every panel is moved to a new location monthly, and the exhibit will hit more than thirty locations throughout 2016. In July, Creating a Jewish Community will be hosted in its entirety at the Detroit Public Library, just a short five-minute walk from the Reuther Library. 25 Years, 25 Treasures is open to the public June 27, 2016-August 5, 2016, at the Walter P. Reuther Library. To register for the Opening Reception ($25 per person, includes a light brunch) on June 26, 2016, visit http://jewishdetroit.org/archives. For more information or to schedule a group tour, contact Robbie Terman at (248) 203-1491 or archives@jfmd.org. 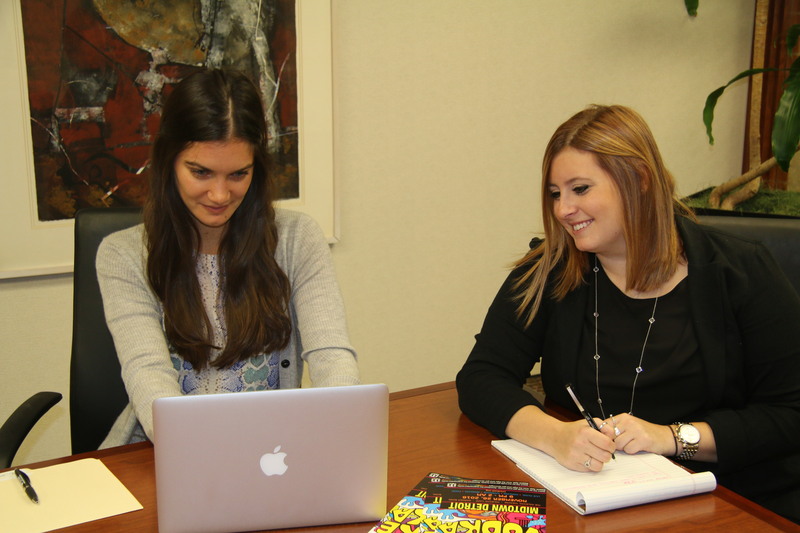 A re-imagined job fair for young expats is coming to Detroit – just in time for Thanksgiving weekend.